Sherry Weller of the New Life Clinic at 100 S. South St. spoke to Wilmington City Council at their Thursday meeting about some of their updates. Judiciary committee chair Matt Purkey spoke to council about further discussion on the possibility of making Wilmington a charter city at Thursday’s council meeting. WILMINGTON — Officials are looking at the possibility of making Wilmington a charter city. During the judiciary committee report at Thursday’s city council meeting, a draft of a resolution was introduced that would allow Safety/Service Director Brian Shidaker to “request for proposals” for charter implement consultants. 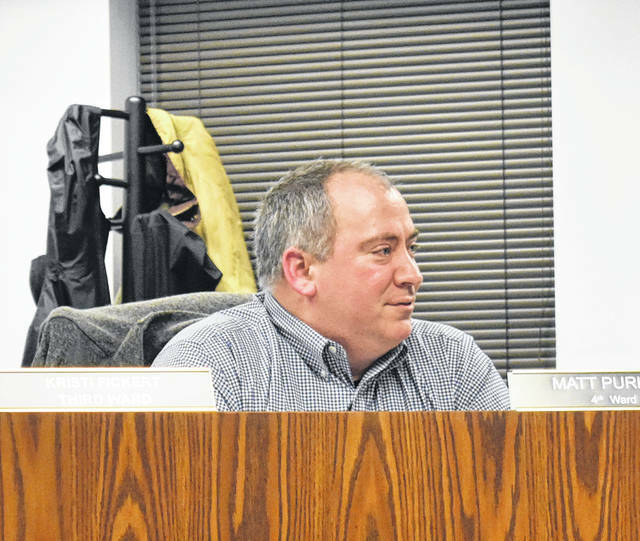 This continues discussions from the Jan. 17 meeting when committee chairperson Matt Purkey introduced the idea of hiring a consultant to guide them in the process, similar to when the city revised its zoning code. However, unlike the zoning code, the charter system would have to appear on the ballot and be approved to be enacted. He added that, much like the zoning code revising, this would be a long process. Other council members expressed support for the idea, of getting a consultant, and forming local focus groups to get feedback and be a part of the process. In a charter city, the governing system is defined by the city’s own charter document rather than by state’s general laws. Purkey ultimately said he liked the draft, but said one section — authorizing Shidaker to contract the lowest and best proposal — needs to be removed. “We’re not at that point yet,” said Purkey. Councilmember Tyler Williams said that, while he thinks it’s a good to have an idea of what they’re looking for, he thought it would be beneficial to not be too specific. Purkey told Williams this was brought up at the last meeting, and said that’s part of the “conundrum” right now. Councilmember Jonathan McKay wants to address local residents, saying “nothing has been written down on paper yet,” and that the resolution is the only charter-related thing they’ve done. Swindler described an encounter she had with a local resident who was “very passionate” about it and “ready to come to council and talk about it.” Swindler added the resident was particularly passionate about not having partisan races. The resolution is expected to be voted on at the next council meeting on Feb. 21. • During the judiciary committee report, Purkey brought up an item that wasn’t on the agenda involving a citizen’s stray cats problem. The local told Purkey his neighbor had roughly 50 stray cats around his residence with the garage door opened slightly, allowing the cats to come and go. Purkey said the resident didn’t view it as a problem until he discovered fleas in his house after raking leaves in his yard. The address was not revealed, but the council was advised it was a 1st Ward residence. He asked council what some possibilities were since there was no law in place forbidding this. The council decided to put the topic on the agenda for the Feb. 21 meeting to allow them to do research and get more information. 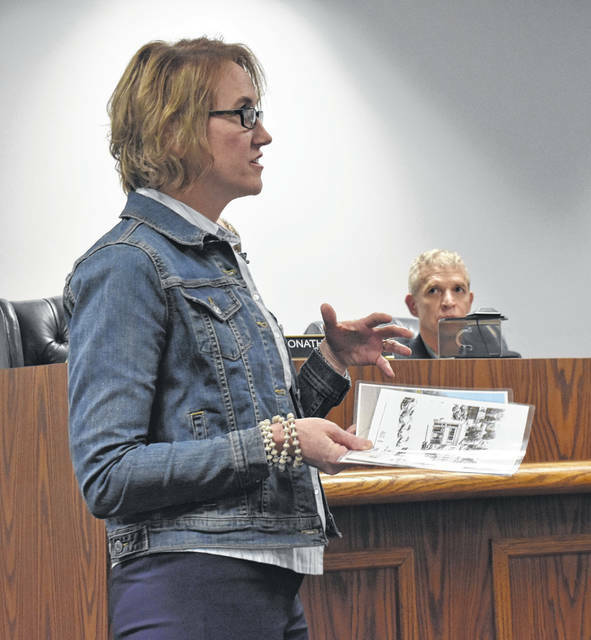 • Sherry Weller, director of the New Life Clinic, thanked and updated the council on what’s been done at their location at 100 S. South St., since they approved a $50,000 loan for them around four years ago. “It really just jump-started that project for us. We were able to start paying on the loan on April 2015 and, by May 3, 2016, it was paid off completely,” said Weller. She told council since the summer of 2014 the center — which helps people deal with pregnancy, relationship, and parenting issues — had over 4,000 clients, performed over 700 pregnancy tests (over 500 positives), over 250 ultrasounds, offered numerous classes, and has started partnerships with numerous local organization including the Chamber of Commerce.